It’s been a busy couple of weeks with the kids getting back to school it things have been going pretty smoothly! Austin’s been giving me two thumbs up for his lunches this year. His friends had thermoses last year and he really wanted to try hot lunches here and there so he’s been quite excited about that. The boys love their mac and cheese (they get that from their mom) so that’s been their most requested hot lunch so far. 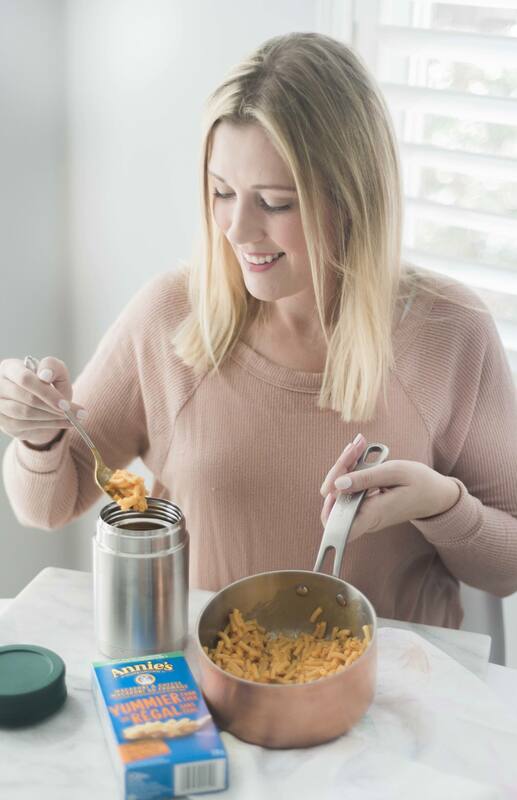 There’s nothing more comforting than and warm thermos filled with Mac and cheese on a school day! I thought hot lunches were going to take more time to prepare but to be honest it’s actually been much quicker to put together than I anticipated. 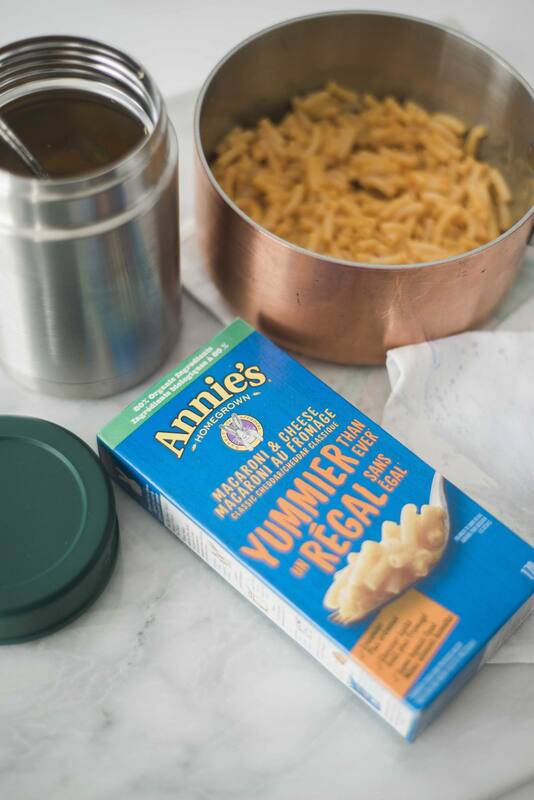 I just whip up a box of Annie’s Yummier Than Ever Mac & Cheese and lunches are done in less than ten minutes. 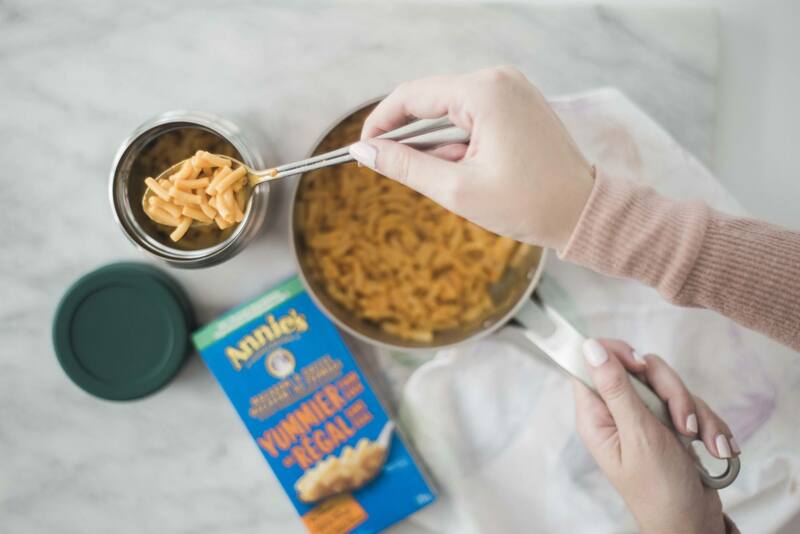 Annie’s uses natural and organic ingredients (something we’ve been trying to pay attention to lately) and tastes just as good as I remember. It’s perfectly creamy and made with organic pasta and real cheese and milk ingredients. 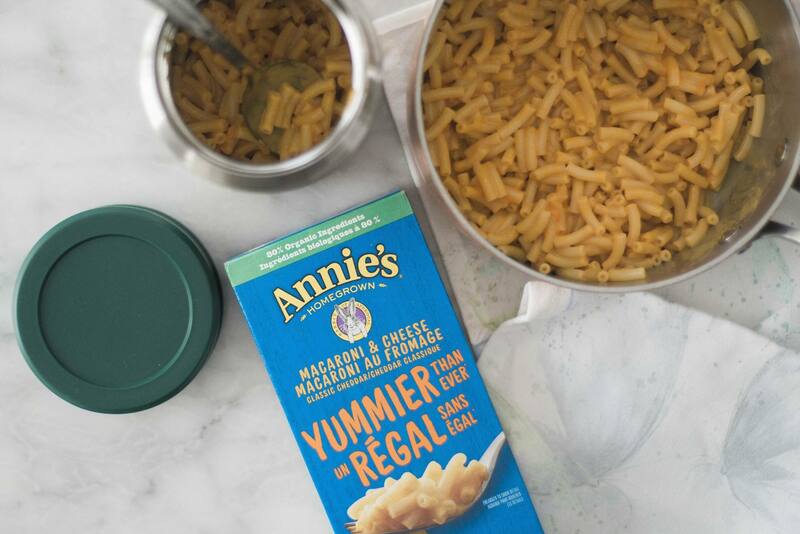 I was also happy to find out Annie’s has no artificial flavours, synthetic colours or preservatives. It makes me feel good knowing they’re going to school with a quick meal that’s wholesome and delicious! 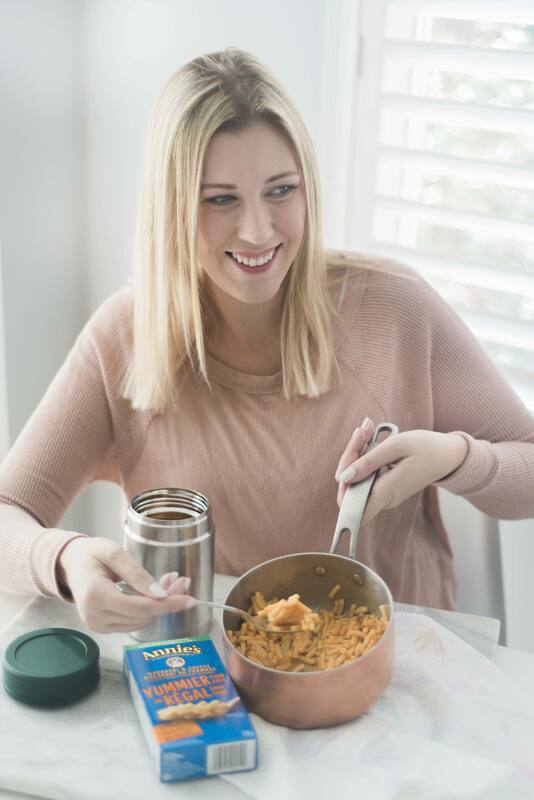 Do you pack hot lunches for school? Fun tip: Our kids love when we add sliced up ham, so yummy!